Simple, speedy and sparkly, your little ones can whip a card in no time with just a little glitter and glue. 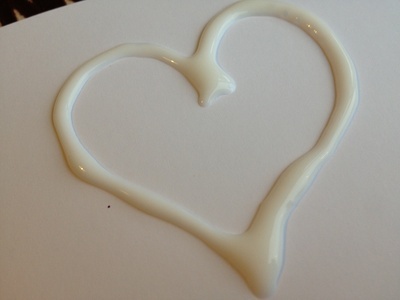 Squeeze out the shape of a heart with thick PVA glue. Shake over glitter so that the glue is totally covered. 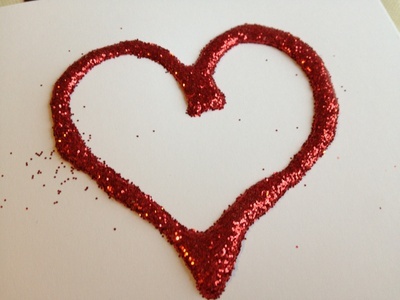 Shake off the excess glitter and then leave to dry.